The industry standard with the first devices and accessories designed for low-intensity non-invasive electrical brain modulation. Optimization of electrode montage for cortical and subcortical targeting and individual subject customization. The most advanced non-invasive neuromodulation platform, presenting High-Definition tDCS. Exclusively from Soterix. Deployed transcranial electrical stimulation, without compromise. Combine tDCS with monitoring technologies. Including EEG, PET, MEG, eye-tracking, NIR, fMRI and more. The first and only device and accessories optimized for non-invasive galvanic electrical stimulation. The only system, electrodes, and accessories designed for controlled tsDCS. The most advanced TMS with unmatched strength and control. The most precise, reliable, and consistent image-guided navigation. The highest density fNIRS system in an ergonomic form factor. The only Animal DCS system and integrated accessory set optimized for pre-clinical research on tDCS. When the Smithsonian highlighted the most rigorous science around tDCS, they showed Soterix Medical’s exclusive High-Definition tDCS system. Targeted stimulation supporting hypothesis driven research. 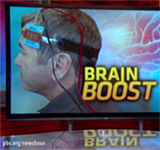 Al Jazeera America features clinical grade tDCS using industry-standard Soterix Medical technology in adult and pediatric neurorehabilitation*. And an interview with our CTO, Dr. Abhishek Datta. The Soterix Medical PainX™ tDCS system receives CE Mark for the treatment of Pain including Migraine and Fibromyalgia. Soterix Medical tDCS systems continue to set the standard in research and treatment. The Soterix Medical 1x1 tDCS system receives CE Mark for the treatment of Depression. Medical and research quality tDCS from the trusted leader in transcranial electrical neuromodulation. Motherboard’s lighthearted take on Soterix Medical's exclusive HD-tDCS technology. Learn more about Soterix Medical HD-tDCS for state-of-the-art research and clinical grade neuromodulation. Learn more about Home Neuromodulation. Our exclusive "X configuration" overcomes limitations of conventional tDCS. Soterix HD-tDCS can "penetrate deeper into the brain in more focused areas", reports Nature News. Soterix Medical Inc. partners with ElMindA Ltd. to develop a new paradigm for pain control. Visualizing individual pain networks to revolutionalize the targeted treatment of pain - one patient at a time. For combining tDCS with monitoring technologies (such as EEG, PET, MEG, Eye-tracking, NIR, fMRI) - Soterix Medical is the only company with the technology and expertise to ensure successful integration. WIRED magazine features Soterix medical tDCS and HD-tDCS products in their feature on neuromodulation including our exclusive 4x1 montage for brain targeting”. Soterix High-Definition tDCS an "innovation" that "increases the functional resolution" of brain stimulation. Categorical increases in non-invasive targeting with simple to use technology. Physicians at Harvard Medical School demonstrate the application of tDCS for clinical trial on patients using a Soterix 1x1 device in this Journal of Visualized Experiments video. Soterix EASY-Kits include everything you need for a complete tDCS session in a compact container. Compatible with all Soterix 1x1 Stimulators and Accessories and includes Soterix EASY-Pads. The CT-tDCS platform is the most sophisticated system for clinical trials with tDCS and the only system to provide true double-blind control and online subject monitoring. Trial will assess the individual and combined impact of pairing cognitive training with tDCS in adults (65-89 years). Soterix Medical 1x1 Clinical Trials (CT) device using Limited Total Energy (LTE™) technology is being used in the study. This study evaluates the application of non-invasive brain stimulation in the treatment of Mild Cognitive Impairment (MCI) in adults aged 55-85. Soterix Medical 1x1 tES device is being used in the study. This study explores the effects transcranial Direct Current Stimulation on Phantom Limb Pain for patients experiencing chronic phantom limb pain in open-label study design. Soterix Medical 1x1 tDCS device is being used in the study. 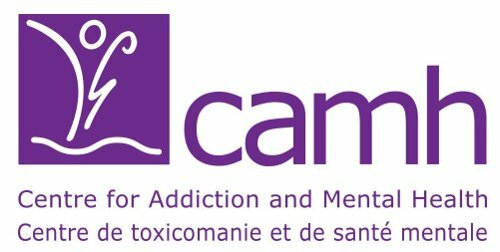 The purpose of the pilot study will be to evaluate the feasibility of open label Transcranial direct current stimulation (tDCS) in combination with computerized cognitive behavior therapy (cCBT) to maintain wellness following an acute course of Electroconvulsive therapy (ECT) for up to 6 months. The proposed study seeks to obtain preliminary signal of the tolerability and efficacy of transcranial direct current stimulation (tDCS) for depressive symptoms in a sample of adolescents with depression and epilepsy. Soterix Medical 1x1 Clinical Trials device with Limited Total Energy (LTE) to be used in a trial to study the antidepressant effects of tDCS in bipolar disorder. 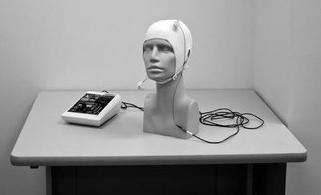 Hunter College of The City University of New York will investigate the use of Soterix Medical 1x1 tDCS (transcranial direct current stimulation) in conjunction with speech-language therapy, for the improvement of language production in stroke survivors with aphasia. Trial will compare Soterix Medical tDCS-LTE™ technology against a fully dosed, effective antidepressant Escitalopram oxalate (Lexapro). Recruitment ongoing. Soterix Medical 1×1 Clinical Trials (CT) device using Limited Total Energy (LTE™) technology is being used in the study. Trial will assess the clinical and neurophysiological effects of a non-invasive brain stimulation technique - transcranial direct current stimulation (tDCS)- on cortical plasticity and motor learning in children with cerebral palsy. This study will evaluate the influence of non-invasive brain stimulation on different elements of cognitive function in healthy persons between the ages of 18-90 years. Soterix Medical 1×1 tDCS device is being used in this study. 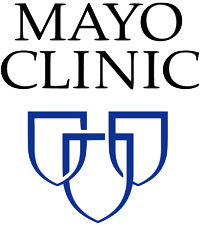 Spaulding Rehabilitation Hospital and the US Department of Education will investigate the effects of Soterix Medical 1x1 transcranial direct current stimulation (tDCS) on the pain and itching associated with burn injury. This study is part of the Boston-Harvard Burn Model System. Follow up Phase II, HD-tDCS clinical trial underway for fibromyalgia at Harvard Medical School and Spaulding Rehabilitation Hospital, and in conjunction with Elminda Corporation. Exclusive Soterix 4x1 HD-tDCS being used. This study is testing whether the addition Soterix Medical 1x1 transcranial direct current stimulation (tDCS) when combined with meditation helps decrease the abdominal pain in patients with chronic pancreatitis. 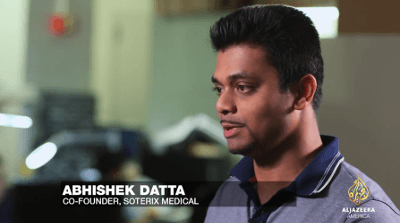 More on Soterix Medical 1×1 Devices. Study focused on investigating effect of tDCS on chronic corneal pain as well as changes in thought processing as compared to healthy controls. Soterix 1×1 Device is being used. Study focused on evaluating the effect of a combination of robotic arm therapy and transcranial Direct Current Stimulation for greater functional recovery after stroke. For the most comprehensive tDCS trial to-date, researchers selected the most advanced tDCS device and the only system optimized for clinical trials – The Soterix Medical 1x1-CT.
Epilepsy Foundation awards a New Therapy Grant for a clinical trial of High-Definition tDCS in pediatric epilepsy. Dr. Alexander Rotenberg will lead a team of clinical investigators including at BCH and Harvard Medical School. NIH grants Burke Medical Research Institute $3m to conduct the most controlled trial of tDCS for stroke rehabilitation to date. The Soterix Medical 1x1 platform is the most advanced and the industry standard for tDCS clinical trials for rehabilitation. tDCS lab at Burke Rehab. Soterix Medical Inc. receives FDA Clinical Trial IDE for High-Definition tDCS (HD-tDCS) to improve IQ in pediatric Down syndrome. HD-tDCS is the only non-invasive, brain targeted, and low-intensity technology designed to promote neuroplasticity. Dr. Bernadette Gillick's Pediatric Rehabilitation Laboratory is supported by the NIH and University of Minnesota Clinical and Translational Science Institute to investigate the use of a form of tDCS for interventions in rehabilitation for children. Subject specific analysis with Soterix Medical Neurotargeting™ will guide current to brain cells in the injured part of the brain. More info at Uni. of Minnesota. HD-tDCS clinical trial underway for fibromyalgia at Harvard Medical School and Spaulding Rehabilitation Hospital, Boston. NIH grants Soterix a Phase-1 STTR grant to develop HD-tDCS for stroke rehabilitation. The first technology capable of delivering therapeutic direct current to target brain regions involved in functional recovery.